When healthcare professionals discuss the ways that they feel their industry could be improved, you’ll hear a lot of talk about new and improved treatment procedures, technological advances, how best to apply data analysis, or maybe how to increase and make more inclusive care regimens. You’re not likely to hear about what it would take to improve medical-surgical supply chain management. Even though it’s last on the list of things to chat about at the organizational meeting, that doesn’t mean that it’s not important. Healthcare supply chain management is the control and monitoring of the movement of goods throughout the organization, and it can encompass everything from life-saving medicines to maintenance and cleaning products. Billions of dollars are lost every year thanks to disruptions in the healthcare supply chain. It’s time for healthcare providers to take steps to improve the medical-surgical supply chain in their facility. Your facility’s patients require supplies throughout the course of their stay. These supplies include the routine, such as latex gloves or alcohol wipes, life-saving medicine, and, in truly dire circumstances, live tissue. Each of these supplies play a vital role in caring for patients. The possibility for disaster should these seriously ill people be unable to get the supplies they require is incalculable, and it’s all easy to imagine if you’re still relying on a manual method of package logging. While every part of the hospital relies on the quick delivery of packages to perform their duties, it’s particularly pressing in the ER. The emergency room is notorious for exorbitant wait times, which can be annoying, if not downright life-threatening. Your healthcare facility can reduce the amount of time spent performing time-wasting tasks, such as tracking down vital shipments of supplies or medication, when you take steps to improve the medical-surgical supply chain. Hospitals are under constant pressure to cut costs, but not at the cost of patient care. How can a facility bring down their expenditures without sacrificing the health and well-being of their patients? One often-overlooked way is to improve the hospital’s medical-surgical supply chain management. Reduced time tracking down life-saving packages— When your staff isn’t wasting time searching for important supplies or medicine that’s critical for patient care, they have more time to spend actually caring for patients, not to mention time to complete tasks that often suffer from lack of time, such as paperwork. Better supply visibility— If a staff member can’t locate the supplies they need, they’ll order them again— even if they’re simply misplaced. It’s possible that your facility is suffering from duplicate ordering because the staff is unable to find what they need when they need it. More efficient shipping and receiving department— When your medical-surgical supply chain is properly managed, the shipping and receiving team will not only be more efficient, but they’ll have more time to address longtime departmental problems. Additionally, abolishing the old-fashioned manual package log can free up valuable real-estate within the hospital, making more room for more profitable endeavors. A potent supply chain cannot be underestimated. The right supply chain setup ensures that important and necessary medical supplies are where they need to be when they need to be there. This all begins with tracking each package’s chain of custody. Implementing an automated package tracking system will give everyone on your staff the ability to track packages at every stage of their journey through the facility. No one will ever be stuck wondering where their patient’s medication might be— with a few mouse clicks, they’ll be able to pinpoint the package’s location. Your receiving staff will scan each package to initiate the chain of custody, so every time the package changes hands, there will be a digital footprint. Missing packages will be a thing of the past, as will those dreaded “Where’s my package?” calls that haunt the nightmares of the receiving team. Offering the ability to track each package’s chain of custody will establish credibility for your shipping and receiving department as well as streamlining your processes. When there’s a verifiable trail for each and every item that arrives at your facility, it eliminates the problems that stem from utilizing an inefficient, antiquated method of package tracking, such as a manual log. 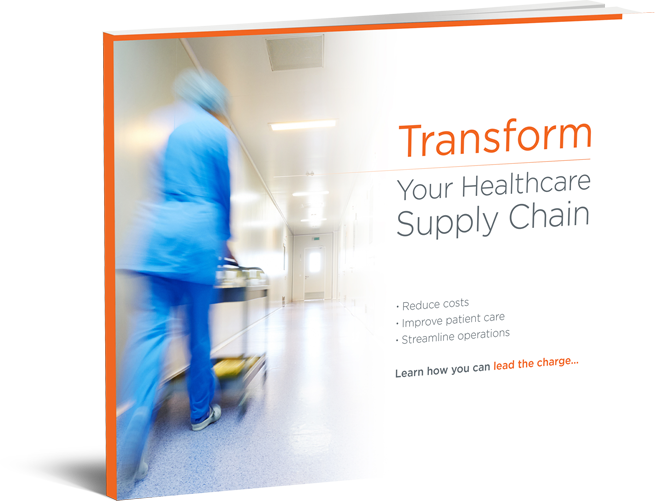 Your hospital’s medical-surgical supply chain will be dramatically improved. 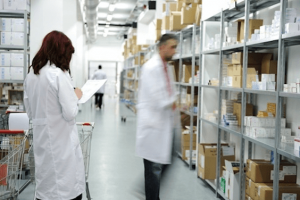 There’s little doubt that implementing an automated package tracking system at your healthcare facility will bring with it a variety of benefits, including improving the medical-surgical supply chain. A modern system like this will increase accuracy, efficiency, accountability, and, most importantly, give caregivers the tools they need to offer the best in patient care. Ready to learn more about Vuetura’s revolutionary automated inbound tracking system and all it can do for your facility? Get in touch with us today. We’re happy to discuss your facility’s needs! Want to see Vuetura Software in action? Request a personalized demo today!